Grey Lanyards are a 12mm bootlace style with a simple j hook at the end. 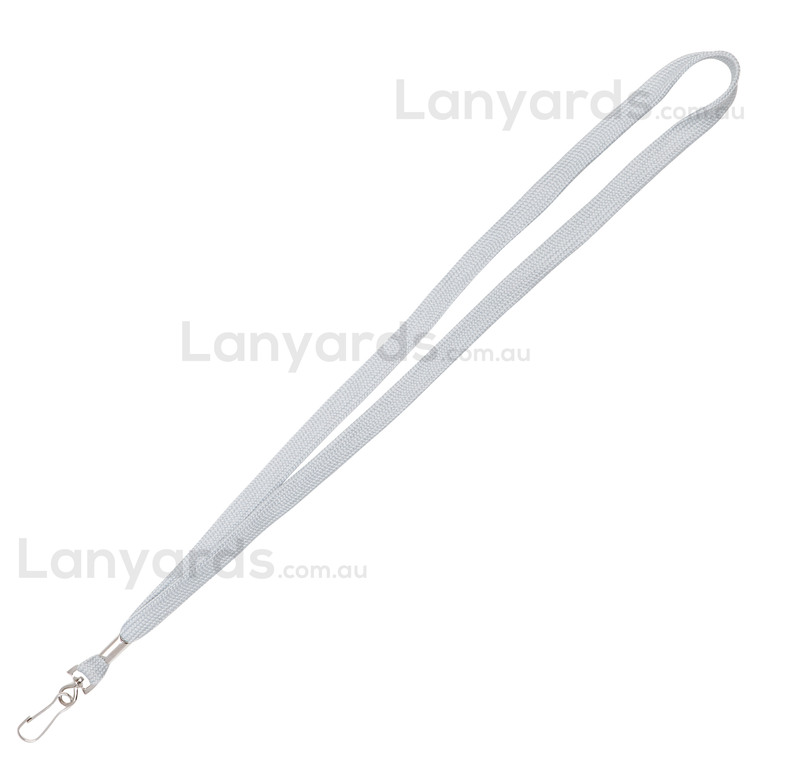 These plain lanyards are stocked locally and are ready for immediate shipment. The attachment is suited for card holders or other ID options. You can get a printed version of this item - see item code L002-B.